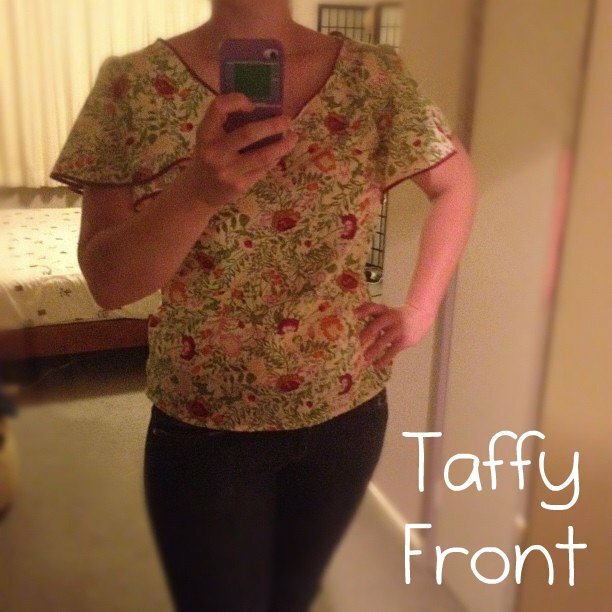 So the first of my Summer Plan patterns (aka things that won’t make me overheat when I wear them) was the Taffy blouse from the Colette Patterns book. I picked up a stunning Japanese lawn at Spotlight over the Christmas period which was 30% off. Win! I’m not a huge floral fan but I have to say this one I had been eyeing off for a while. This pattern presented a number of challenges for me. One, this was the first pattern I have ever traced and due to a lack of tracing paper used baking paper. This worked fine but would not tape together so I used the good old stapler I ninjaed from my mum years ago. Thanks Mum! It was nice to leave the pattern paper whole and folded away neatly incase I want to make this again (highly likely) and may change measurements. Two, French seams. Whoa. That was a revelation. Thanks again to the Colette book (and some supplementary googling) I was able to slowly and carefully work these out. And once I grasped the concept behind them it is pretty rocking. I loved how neat the inside of the blouse looks. In fact, so much so I’ve just taken a picture of the inside seam. Have you seen sexier French seams? Third, bias binding. 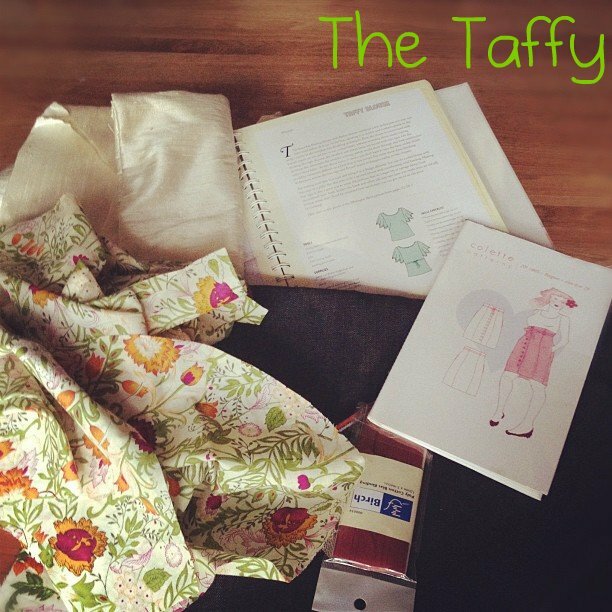 I can’t believe I have ambled through my sewing journey this far without wandering across this before. That stuff is FIDDLY! Jeepers. It would have been easier to try and use my cat as bias binding than that tape. Easy to copy and cut out. 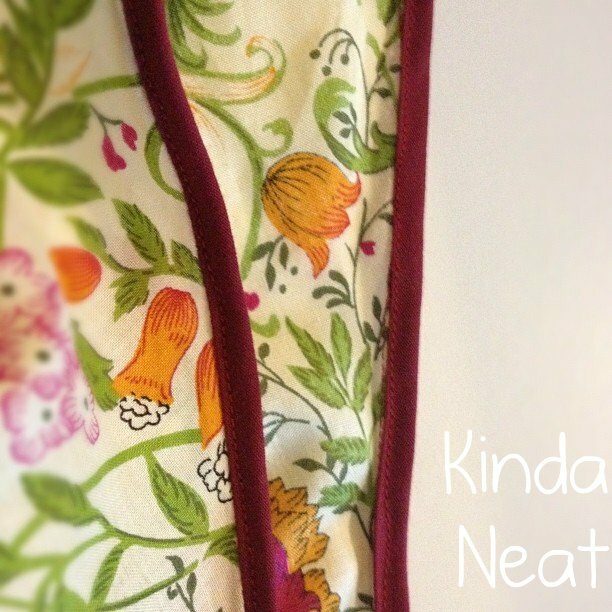 Easy instructions once you slay the dragons of French seaming and bias binding. The magic wing-a-ling sleeves that hid many sins. And possibly a cupcake if I’m desperate. Shape the sides in just a smidge. Make my own bias binding.. bwah ha ha! Try adding the ties back in. I’m not a huge fan of thin ties so I opted out this time. So there it is folks. 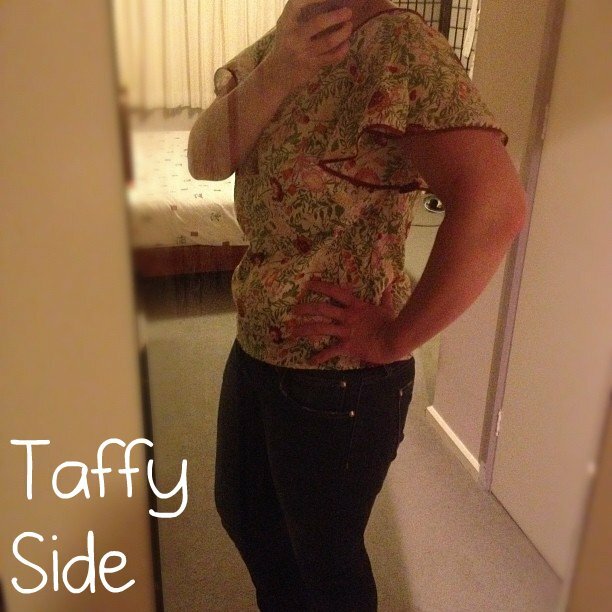 Part two of my New Wardrobe Challenge and part one of my Summer Plan. I’m thinking next on the cards will be a Beignet skirt and maybe a Sorbetto top. You don’t want me to break from the Colette bandwagon too soon, do you? Gorgeous top! I love the print you chose. So nice to find another Aussie blogger on the interwebs. Thanks, Jos! It’s such an easy top to make and I think I shall be creating more once it warms up again. Give it a whirl, I say!